The sun was beating down on me as I came out of the cave in my kayak. I was buzzing as I had never kayaked through a cave before. The ocean was so blue I was tempted to jump in and cool off but I was worried I wouldn’t be able to climb back into the kayak, which would have been very uncool in front of my fellow kayakers! All around me were huge cliffs that were home to sea birds that come every spring to lay their eggs. I put my head back and breathed in the clean ocean air. What a perfect way to start the weekend I thought. Where was I doing this oceanic adventure? Thailand? The Caribbean? From the colour of the ocean you would think so, but no, I was in Wales, a few hours drive from my house. It just goes to show that you can go on adventure at short notice without travelling to the other side of the world. 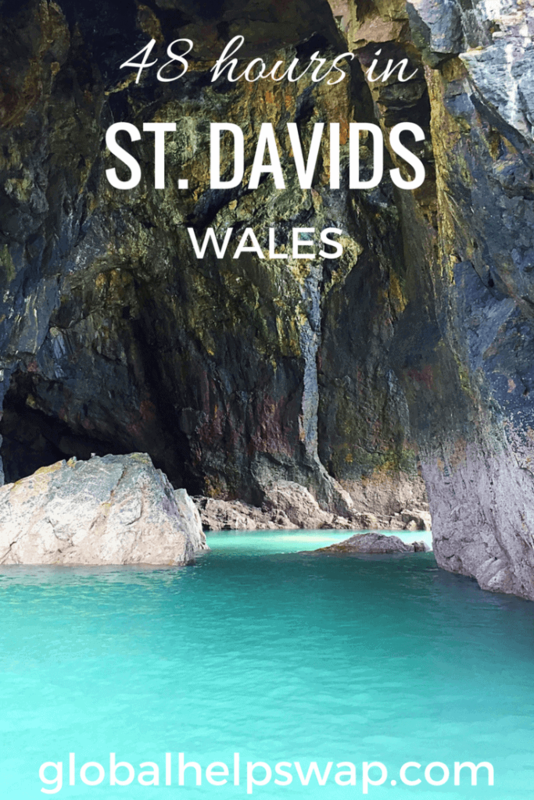 Before setting off on the Saturday morning, I knew next to nothing about St Davids City in Wales. I knew who St David was (the patron saint of Wales) but never knew there was a city named after him. 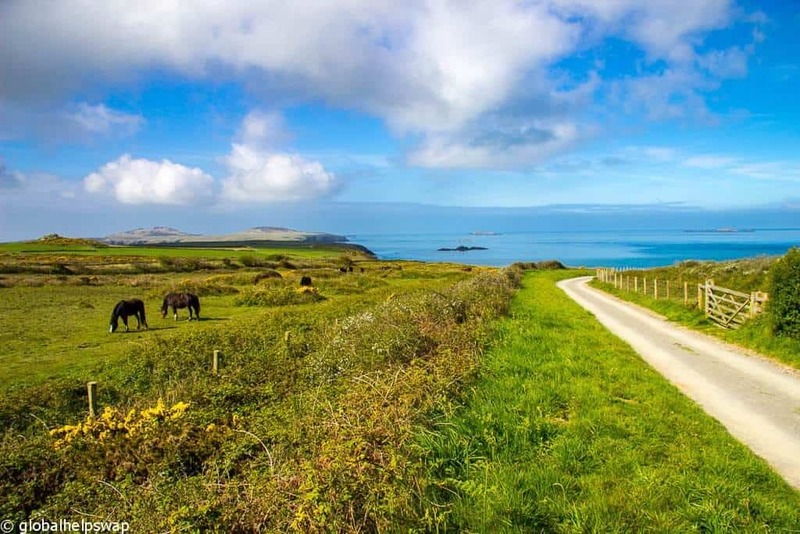 As I entered Pembrokeshire the first thing that stood out was its beauty. The road led me up to the top of this hill and as the car reached the top, below me was this huge white sand beach, I literally cried out wow in the car. Luckily there were no passersby as they may have called the psychiatric unit. I only had two days in St Davids so I made sure I started my adventures as soon as I arrived there. 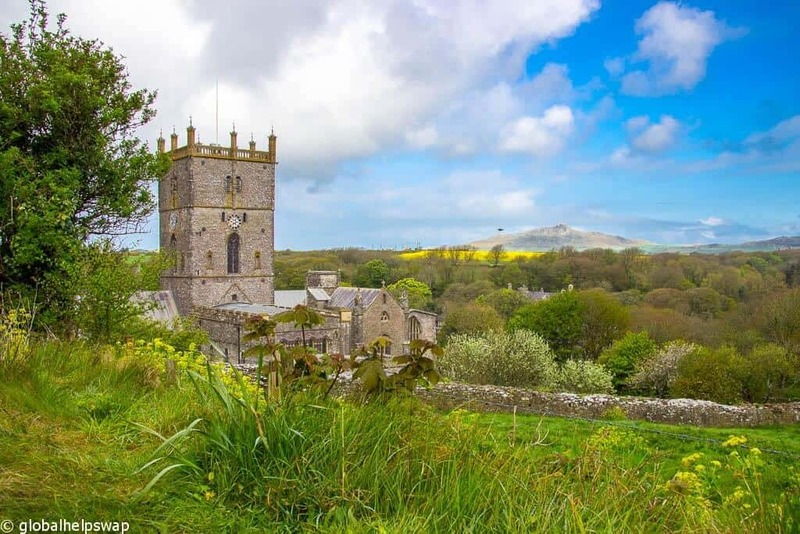 St Davids is the UK’s smallest city with a population of just 1,600. Now, normally to be classed as a city you need to have a population of around 200,000 but Queen Elizabeth granted St Davids city status because of the presence of St David’s Cathedral. The cathedral is on the site of the 6th century monastery where St David lived and preached. It’s a city that certainly punches above its weight. What it lacks in size it makes up with the amount of things to do within the city and the surrounding areas. After throwing my bags into my hotel room (more on that later) I headed to Preseli Venture to go kayaking in the Atlantic Ocean. 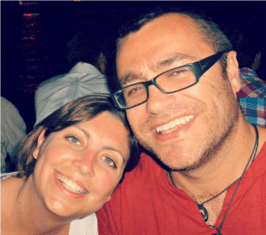 Preseli Venture are the perfect example of sustainable adventures. It’s a family owned business that has been running for 29 years. As well as the kayaking they also do Coasteering Tours and Surfing, all with brilliant local guides. They also have 40 eco ski chalet style rooms that cater for families, groups and team building. I have been kayaking many times but nobody really has taught me how to do it properly. That’s until my guide from Preseli showed me. Within minutes I was gliding along the waves without hardly any effort which is just as well as I am not the fittest person in the world. It just proves that if you know how to do something properly that’s half the effort. As I mentioned at the start of this post I could not believe the quality of the ocean. 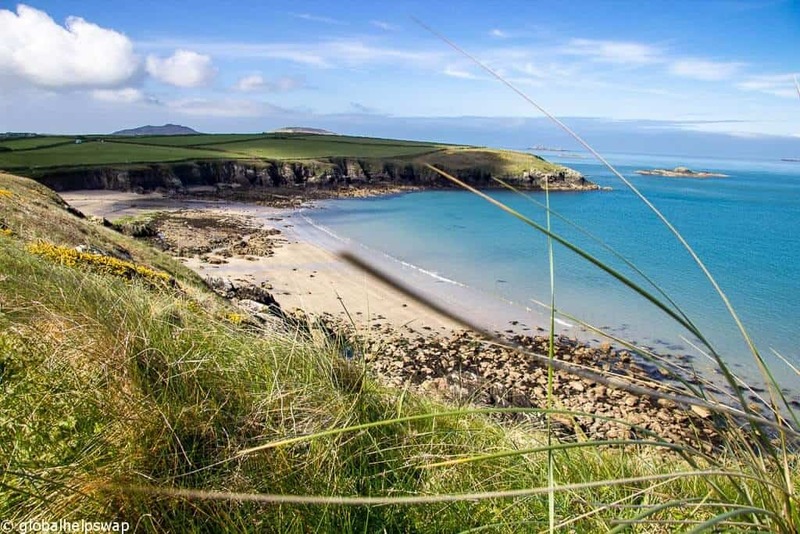 I found out later that Pembrokeshire has more blue flag beaches than anywhere else in Britain. After spending two days on the ocean it’s not hard to see why. Apparently all the tour companies in the area sign up to a code of ethics where they do everything in their power to protect the environments they work in. I only wish other tour companies and tourism boards around the world followed Pembrokeshire’s example. 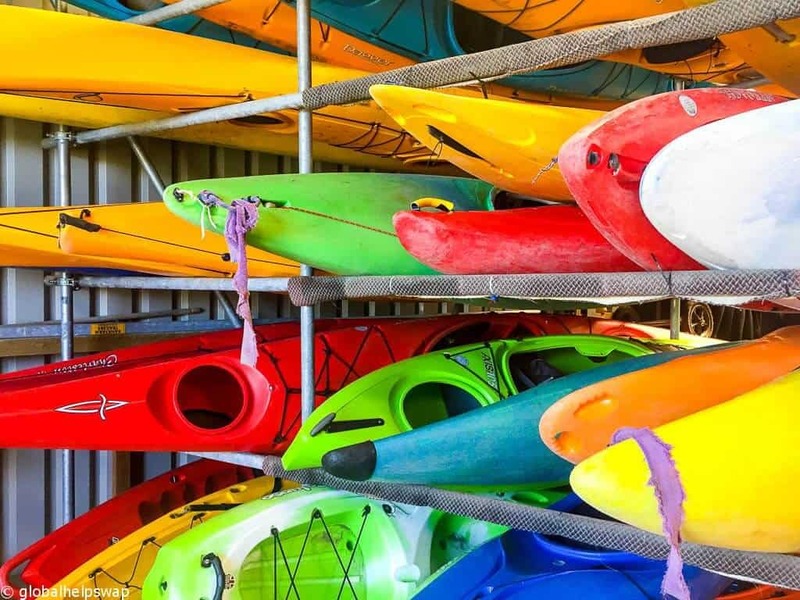 After spending 3 hours out on the ocean I was hooked to sea kayaking. 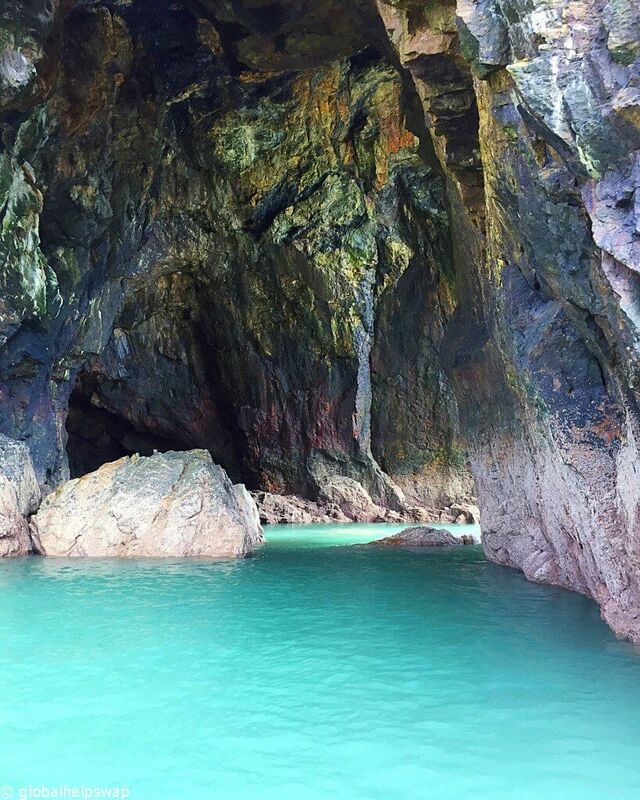 Going through the caves felt like a proper adventure and kayaking right next to the huge cliff faces was pretty humbling and yet I was only a few hours away from home. What a perfect way to start my adventure weekend. After kayaking for 3 hours I had worked up an appetite so I started on my next adventure, a culinary tour of St Davids. 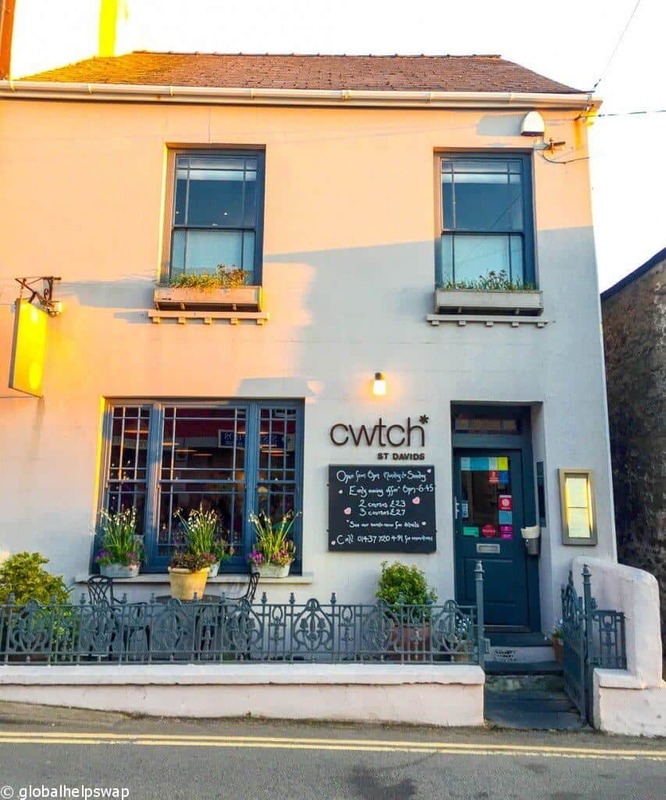 On my first night I ate dinner in the wonderful Cwtch restaurant. Cwtch means an affectionate hug or cuddle in Welsh and it’s the perfect description for the restaurant. It’s a warm, cosy place with ultra friendly staff. The food is locally sourced and cooked by the restaurant’s award winning chefs. The menu changes frequently but when I was there I had the pigeon to start, the halibut as a main and a creme brulee to finish. All 3 courses were cooked to perfection and tasted divine. It was the perfect ending to a perfect day. On the Sunday evening I ate in the Bishops Pub, a lovely authentic pub with friendly locals and great home cooked food. As I was close to the ocean I decided to have fish and chips. It was delicious, fish and chips like you used to have when you were a kid. Why is it that fish and chips always taste better next to the ocean? For such a small city, St. Davids has a large variety of choice when it comes to restaurants. It was a pity I was only there for two nights as I would have liked to have tried them all. I woke up on Sunday morning without a plan. I feel we can sometimes over plan things, so at breakfast I asked some locals what they would recommend and within 30 mins I was set up for the day. 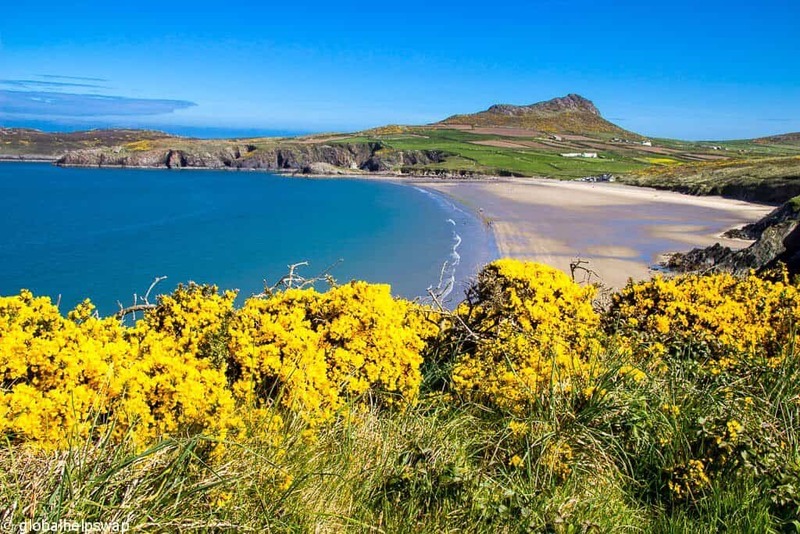 The first thing I did was head towards the Pembrokeshire Coastal Path described by many leading experts as one of the best long distance trails in the world. Opened in 1970 the path is 186 miles long covering the entire coast of the county. After kayaking the day before, I didn’t intend to walk that far! Even though google said the walk to my next adventure would take 1.5 hours, I gave myself double that amount just in case. I am so glad that I did because those leading experts were right, the Pembrokeshire coastal path is a stunning walk. Rolling fields, empty beaches, wild flowers, and wide open seas greeted me on every bend. I was alone for most of the walk too, apart from the horses and seabirds I met along the way. Make sure you empty your SD card in your camera when you do this walk because you will be taking tons of photos. If I didn’t have an engagement in the afternoon I would have happily stayed on the coastal path all day long. It is the perfect place to have a picnic, drink some wine and read a book but that will have to be next time as I had to meet a man on a boat. My final adventure of the day was a boat trip to Ramsey Island, an RSPB nature reserve just off the coast of Pembrokeshire. Knowing it was an important place for sea birds I was hoping to see a few on our trip. To my delight the first sighting of wildlife we saw was of seals. 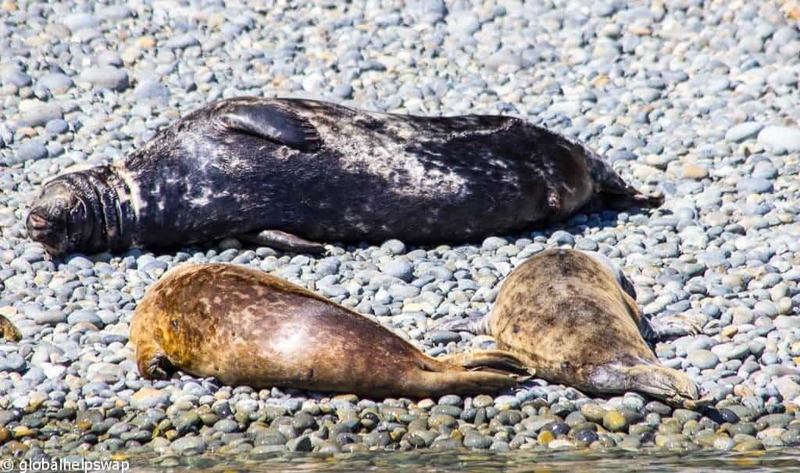 They were just lounging on a beach without a care in the world. A few inquisitive juveniles came swimming near to our boat to check us out. 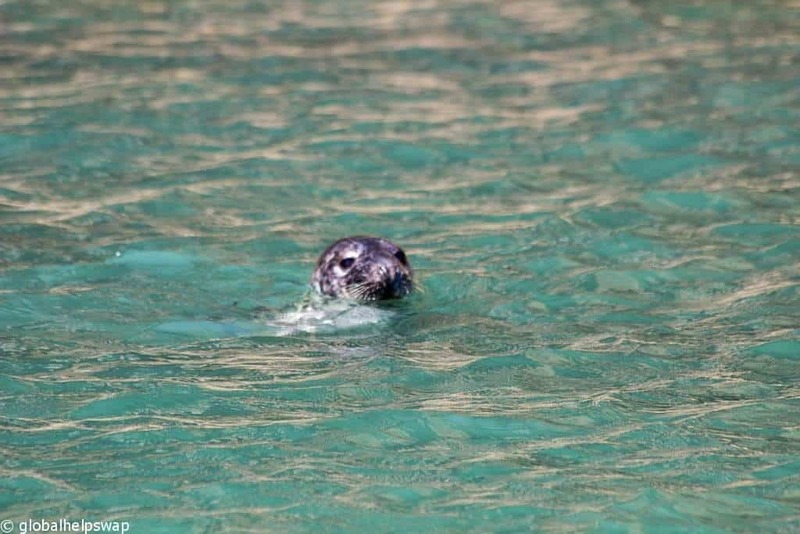 As I watched the seals frolic and fight it struck me that you can observe wonderful wildlife within Britain. We did get to see birds too. 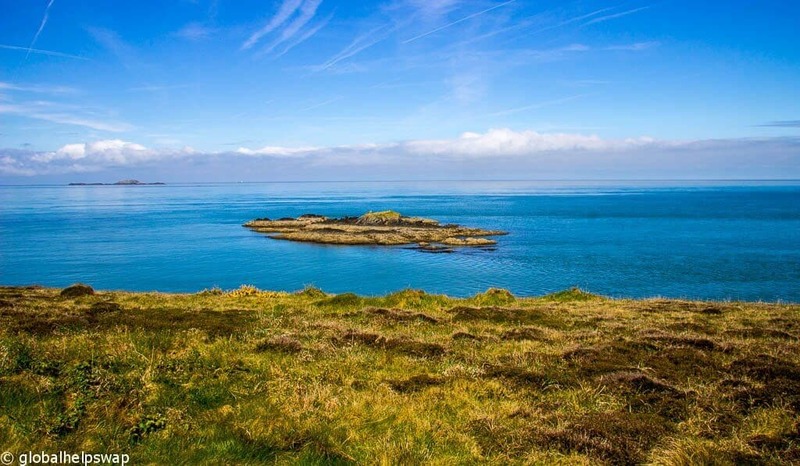 Ramsey Island is an important home for many species of birds as it has cliffs that reach up to 130 meters high, a perfect home for them to lay their eggs. On our trip with Blue Ocean Adventures we got to see Choughs, Guillemots, Peregrines and Razorbills. Now, I am no twitcher but with the expert knowledge of our guides on the boat, I came to really appreciate what these birds go through on a day to day basis. Before setting off to London, I had to visit St Davids Cathedral, after all the city is named after the guy. St Davids Cathedral is one of the holiest sites in Britain. It used to be a big pilgrimage site with worshippers coming from miles around to come and pray. Now, normally when you enter a city or town that has a cathedral it is the first thing you see. Not in St Davids. Tourists are always asking locals where the cathedral is which is quite funny considering the size of the city. The reason why you can’t see the cathedral is because they built it purposely in a valley to hide it from the Vikings who would conduct raids along the Pembrokeshire coast. Pretty ingenious don’t you think? The interior of the cathedral is very impressive, especially the medieval wooden ceiling. Make sure you wander around as there are many nooks to explore. 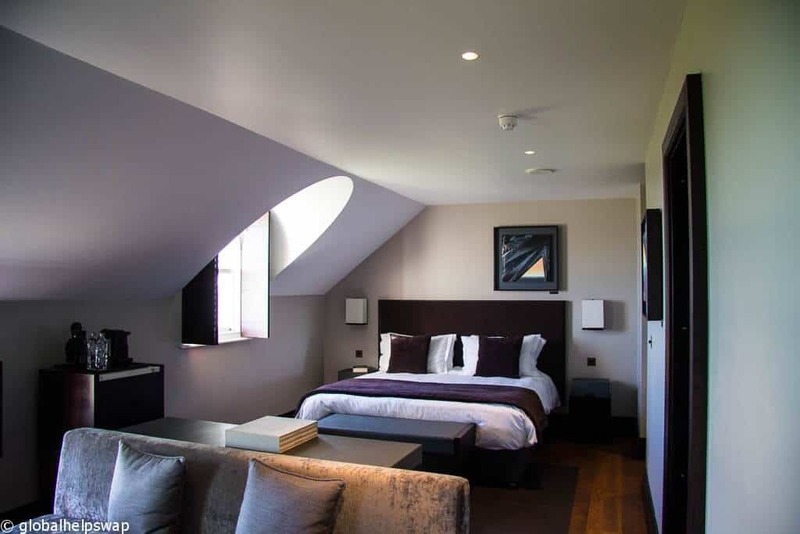 The Twr Y Felin hotel is a former working windmill built in 1806 and Pembrokeshire’s best hotel in 2016. 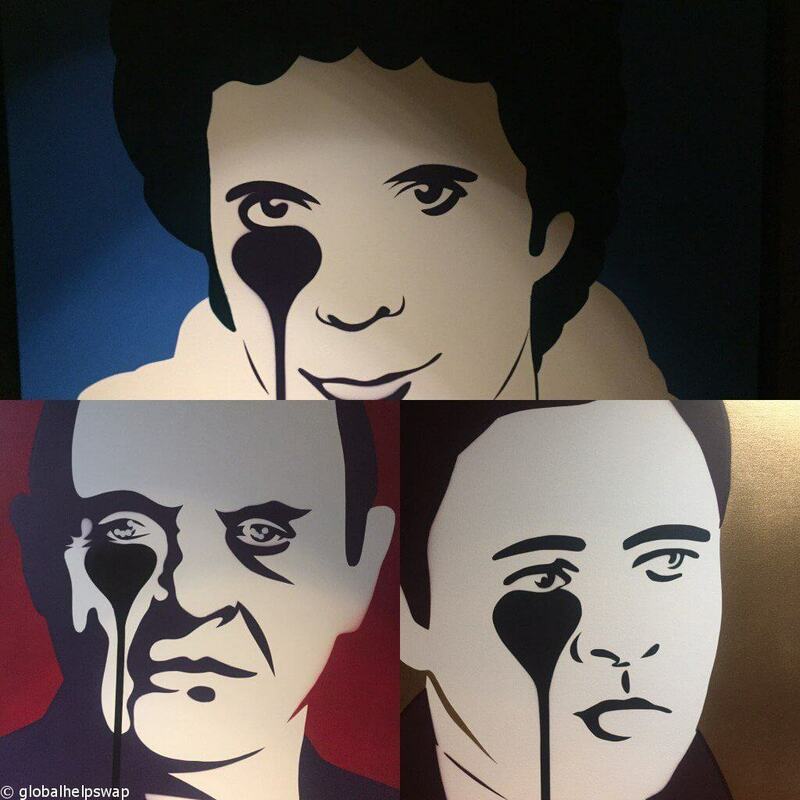 It is Wales’ first contemporary art hotel with commissioned art from the likes of Charles Uzzell-Edwards (aka Pure Evil), Harry Adams and Marcus Oleniuk. All the rooms are elegantly designed with ultra comfy beds. It was hard to leave that bed in the mornings! I stayed in the Oriel Junior suite which was huge. I particularly enjoyed the large bath, especially after my kayaking and trekking. The hotel’s restaurant is an AA two rosette award winner serving local produce served in a contemporary way. I loved St Davids and Pembrokeshire. I had no idea how stunning the area was. In just 48 hours I got to see amazing wildlife, kayaked through caves in the Atlantic Ocean, walked along one of the world’s best coastal walks and sat in an ancient cathedral. Now that’s what I call an adventurous weekend. It just shows you that you can have a mini adventure within your own country. 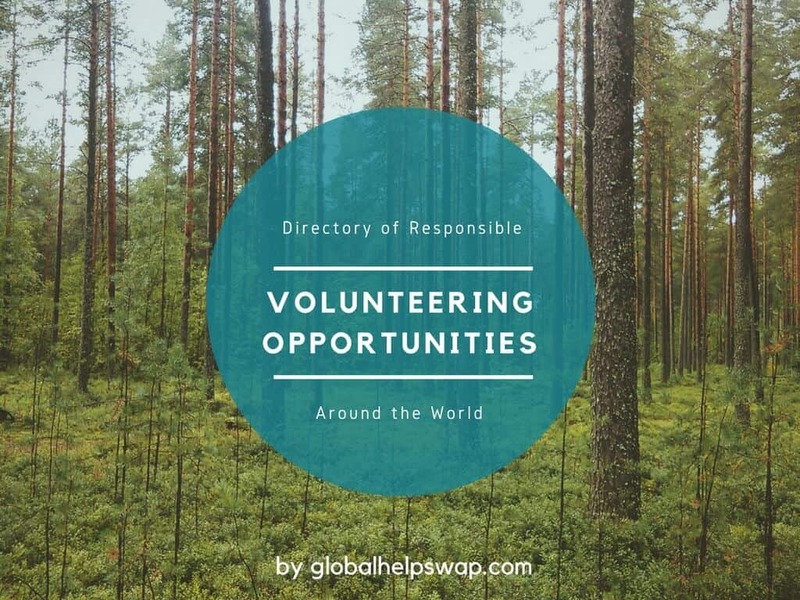 Where would you recommend for my next adventure? This trip was in conjunction with our partners Laterooms.com. As always, opinions are my own. Whales looks magical. I love how green and coastal it is there 🙂 Thanks for sharing! Nice post. Spent a few days in St Davids a few years ago, when we were hiking the Pembrokeshire coast path. Thank you! I loved the coastal path, I want to go back and do more.